Today, I would like to introduce the Best Vietnamese Food of Vĩnh Phúc province. They are Se Porridge and Hon Cake. It is only exist at Hương Cảnh, Bình Xuyên ward. When you have a chance to visit Vĩnh Phúc Province, make sure you will not miss them. I bet you will never regret with this decision. 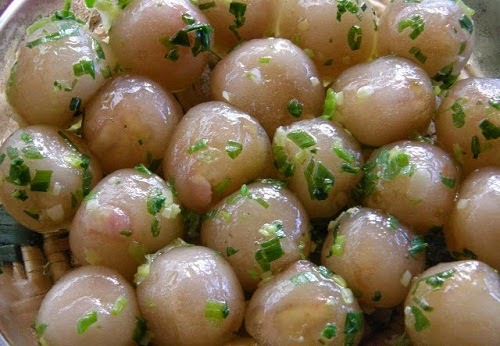 The progress of making this Se Porrdige which is Best Vietnamese Food in this province is very hard from the collecting ingredient to making. Firstly, you have to choose the high quality of rice and then clean it clearly. Next, you decorticate it into the flour. Remember, do not clean it by water another time because the flour will be wet and you cannot cook the porridge by this flour. Then, you divide the flour into 2 parts. You use the first part to cook raspberry. Another part is the used for cooking porridge and cake. Before making cake with this flour, you need to mix this flour together and then mill it till the mix does not stick your hand. 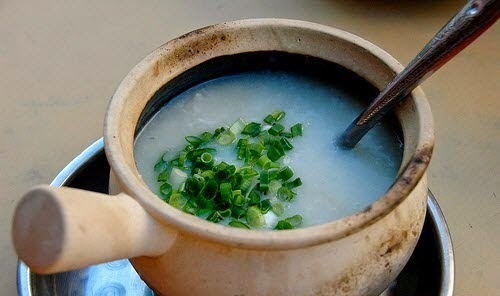 The broth of this porridge is collected from the water from the sky in the early morning and the meat is the best quality of pork and beef. By using the high level of quality for this Best Vietnamese Food, it has to be extremely yummy. Next is making Hon cake. The cake-filling have to the slicing scallions mix with pork’s fat. The pork’s fat has to be chosen from the best pork, it also contains meat. Usually, the cake is cut into 2 part and dig in the porridge. If you do not like to use this cake with porridge, you can make another sauce. This sauce is the mix of fish sauce, vinegar, garlic, sugar and chilies. Eating these Best Vietnamese Food is one first decision of Vĩnh Phúc Citizens on morning day. The soft cake and the delicious porridge is a fantastic match. People will remember the taste of them for a last long time. 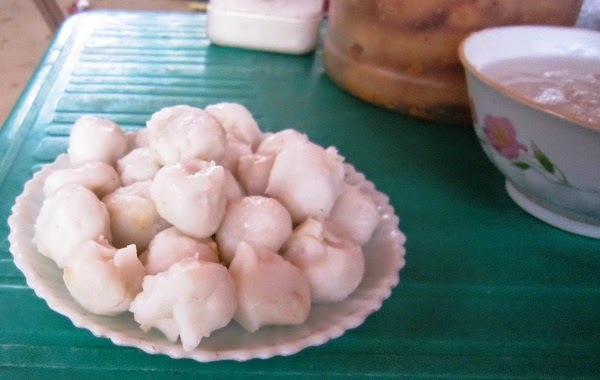 Guarantee that you already take note this food in your journey book before planning visit Vietnam. Hope you have an amazing trip with friends and family.